Parents do not have to spend a fortune to find toys that are educational and fun to play with. LoveToKnow brings educational toy recommendations from toy expert, Jennifer Newman Galluzzo, known in the toy industry as The Toy Girl. She provides tips on how parents can select the best educational toys for their kids. Toy expert Jennifer Newman Galluzzo believes toys are excellent teaching tools for kids of all ages. LTK: What makes a toy a good educational tool? JG: Educational toys allow children to learn as they play, and encourage learning in a fun environment. There are a many things to consider when choosing the right educational toy for your child. First, find toys that are appropriate for the child's age. This is important for safety, as well as holding their attention. A young child may not appreciate the intricacies of letter and number sounds from a toy meant for an older child, whereas a toddler might be easily bored by a bright and colorful rattle that makes noise. Toys that spark your child's imagination are also great educational toys. Hours of play can be sparked from one idea from a toy or game that may inspire a whole new play situation. For example, a set of wooden building blocks led to my classroom wanting to discover what else they could build with. Before you knew it, we had a bridge built from old cardboard boxes and tape, and a house made from sticks, blocks, and smocks. Other toys that inspire creativity and pretend play are doctor kits, action figures, dolls, science kits, "explorer" tools, habitats, dress-up clothes, coloring books, and arts and crafts. Another important factor is the child's interest. Figure out what your child likes to do and what they show interest in, and find toys that are appropriate. Children love to mimic their parents and older siblings. Toys that allow them the freedom to do this give them a sense of autonomy and accomplishment. There are so many toys to choose from, so give your child a good mix of toys including electronic, hands-on, wooden, pretend play, science, exploration, reading, and so on. Kids love to mix it up, and the more they have to explore, the more they will learn. LTK: What kind of educational toys can parents get infants and toddlers? JG: Toys can be used as teaching tools at a very young age. Kids love to explore, so giving a child something that is bright and colorful, and rich in texture, movement, and sound can inspire their imaginations. Infants and toddlers respond to a number of different stimuli, and toys are an important one. Lamaze® has a great line of plush toys for infants that come with a clip, so they can easily come with you or hang near baby, and become more interactive as they grow. Mortimer the Moose and Freddie the Firefly ($14.99) offer features that capture baby's imagination and stimulate the senses, including peek-a-boo mirrors, teethers, multiple textures, squeakers, crinkly fabrics, and clacking rings. Baby play/activity gyms and mats also offer a wonderland of exploration for infants. The Infantino® Square Twist and Fold Activity Gym ($39.99) offers beautiful colors and patterns, interesting plush animals and toys, and is very easy to fold up to take with you or store. LTK: What type of educational toys are must-haves for parents of preschoolers to help them prepare for kindergarten? JG: By the preschool age, kids have developed their own interests and likes. One thing generally remains constant, and that is they are bundles of energy with a lot of questions and a yearning to discover new things. Interests range from reading and music to climbing and pretending. When they get to kindergarten, they will encounter colors, shapes, sorting, music, arts and crafts, pretend play, reading, letter recognition, and oftentimes computers. Allowing your child to become familiar with these sorts of objects and activities will give them the leg up once they get to the classroom, as they will feel more comfortable and at ease with their environment, since some parts of it will be familiar. Fisher Price® Brilliant Basics Baby's First Blocks ($12.99) are a great way to introduce shapes, sorting, and colors to your child. Bilingual toys are also a great learning tool. The Chicco® Talking Farm (About $30) speaks over 250 words and phrases in English and Spanish, teaching colors, animals, numbers, and names. It comes with 4 modes of play for your growing child and has fun lights, sounds, and music. The Leap Frog® Learn and Groove Musical Table ($44.99) delights with 40 songs, sparkling lights and lots to spin, slide, push, pull, open, and close. Kids can explore and practice letters, numbers from 1 to 10, colors and opposites - in either English or Spanish. Toys that focus on hand/eye coordination are also very helpful to prepare for the rigors of school. 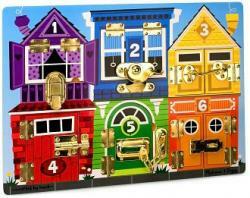 Melissa and Doug® Latches Board ($24.99) is an intriguing task for toddlers, as they are challenged to open a variety of locks and latches to uncover the pictures, colors, and numbers beneath. The VTech® Tote and Go Laptop (Ages 3-6, $21.99) will help your child familiarize themselves with the structure of a real computer on the basic ABC keyboard with working mouse while playing educational games. LTK: Are computer games and electronic toys good educational toys for school-age children? JG: Computer games and electronic toys sometimes cause debate among parents and educators. Some say that kids are too young to explore these types of toys. We live in a world, however, where computers and electronics are part of our everyday lives, and we would be naive to think that these devices are not important to children. The key is to find computer games and electronics that are age appropriate, and suit your child's interests and needs, and to balance the amount of time they play with computer and electronic games with activity games and human interaction. LTK: Can parents find quality low cost toys that also provide significant educational value? JG: Educational toys do not always have to be expensive. Look for the play value in a toy - not the price. The Chuggington Matching Game ($9.99) is a classic game of memory and picture matching. A Play-Doh: Case of Colors ($5.99) can inspire hours of imaginative fun. Crayons, books, coloring books, arts and crafts materials, and construction paper are also inexpensive items that allow the ultimate in creativity. Use the Internet to your advantage. For any toy you buy, read the reviews and see what others had to say. You can find some great inexpensive educational toys, and save your money by not purchasing really expensive ones that got bad reviews. Another option is buying your toys from secondhand stores or online auction sites. Also check out mommy and daddy groups like momslikeme.com, who have local chapters that meet, and do toy trades and swaps. LTK: Can parents make almost any toy into a teaching tool? JG: Almost anything can be made into a teaching tool. Just think about how that item or toy will be used. You probably never realized that the plastic container drawer in your home could be a great tool to teach sorting and hand/eye coordination. Let your little ones explore the shapes and sizes of the containers. Ask them to put all of the circle shapes into one pile and the squares into another. Let them sort the colors of the lids, and then find the matching tops and bottoms. The child who is wearing their pajama bottoms on their head and using their blocks to be a superhero should be applauded. Stimulate their imagination: Ask them where the superhero is going? What is their name? What are their superpowers? How do they use them? Situations like these give you the opportunity to teach them many things like right and wrong, feelings, what they would do in a situation, and more. Ask them questions about what they are doing and make them think. It's a great way to get to know your child and how their mind works as well, and teach them valuable lessons. 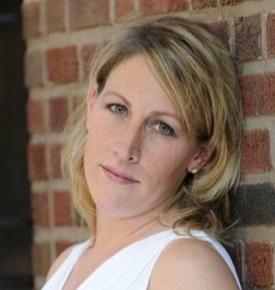 Jennifer Newman Galluzzo is the toy industry expert known as "The Toy Girl." Galluzzo worked for years in the toy industry and coordinated public relations campaigns for the Toy Industry Association. A former elementary school teacher, Galluzzo has expertise in childhood education. She currently works in public relations at Harrison Edwards in New York. She brings her expertise from the toy field, education and public relations to her toy reviews and recommendations.